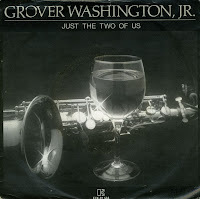 Music on vinyl: Just the two of us - Grover Washington Jr.
'Just the two of us' was recorded by jazz musician Grover Washington Jr. (1943-1999) with vocals by Bill Withers. It was released as a single in June 1980, and rewarded with a Grammy Award on February 24, 1982. Labels: Bill Withers, Eighties, Grover Washington Jr.